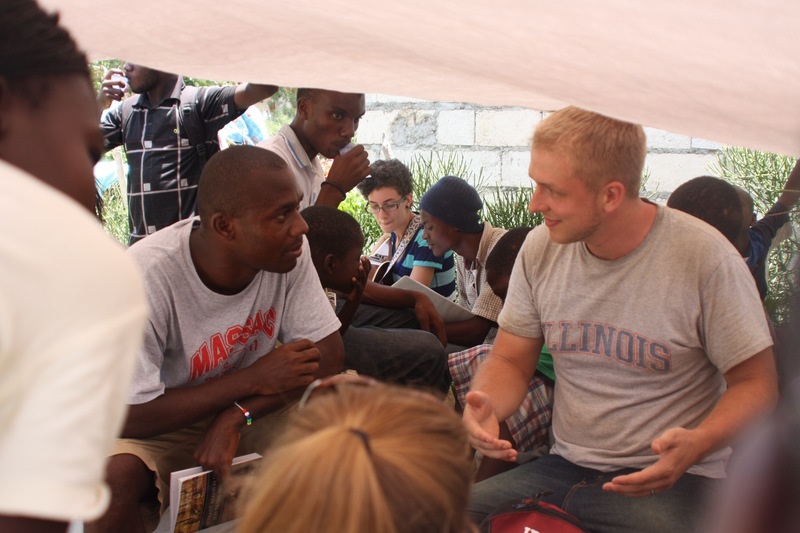 Port-au-Prince | The Illinois volunteers are back home, but still thinking about their experiences in Haiti. Check out the images below, and pray with us for people who heard the Gospel last week, for Haitian pastors and leaders, and for Christians in the country who are reaching their families and friends with the truth of Jesus Christ. And read more about the trip in the August 12 issue of the Illinois Baptist, online at http://ibonline.IBSA.org. We spent our first night away from home in the Miami airport, waiting to catch an early Sunday morning flight to Port-au-Prince. 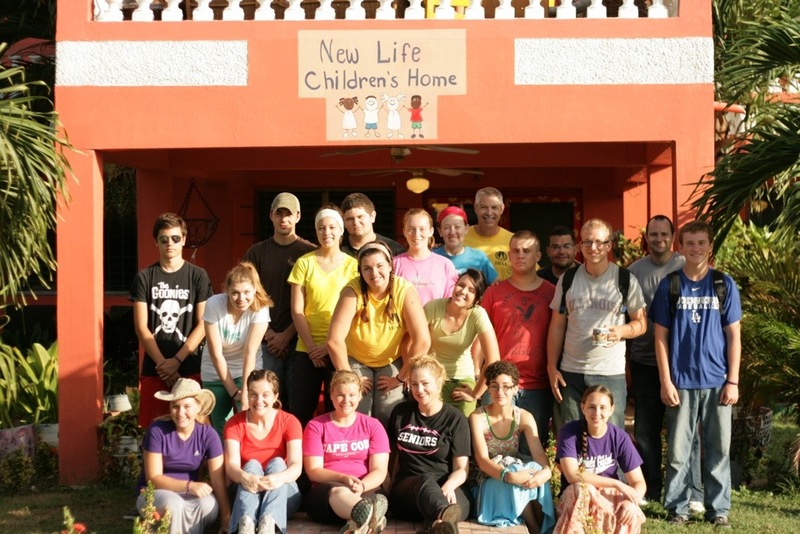 New Life Children’s Home, our oasis and home away from home for the week. Moses, our first new friend at New Life. The kids there loved to interact with the team, despite our language barrier. 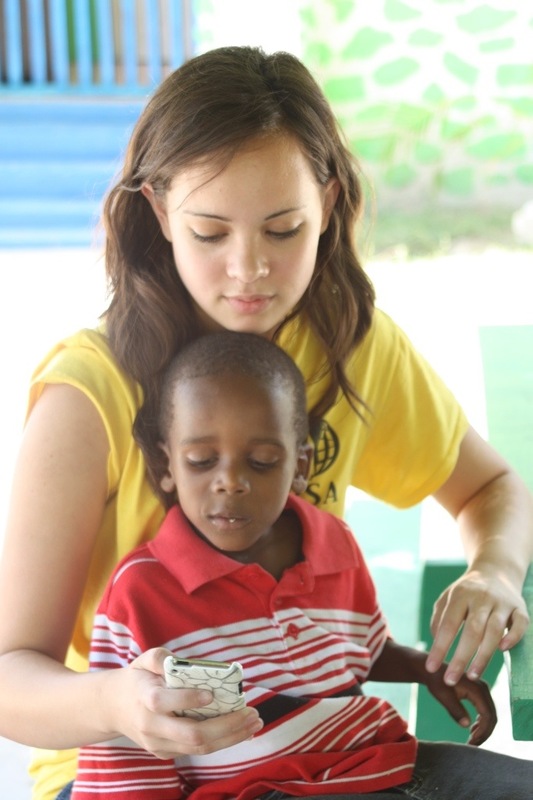 Abby Fleischer speaks a universal language – funny faces – with a child at New Life. “Jesus Loves Me” in English and Creole painted on an open-air classroom at the children’s home. New Life takes care of several kids with special needs, including Christine, pictured here with Illinois volunteer Chris Flynn. Our first day at our work sites: Kids were waiting at the church in Bigarade when we arrived. 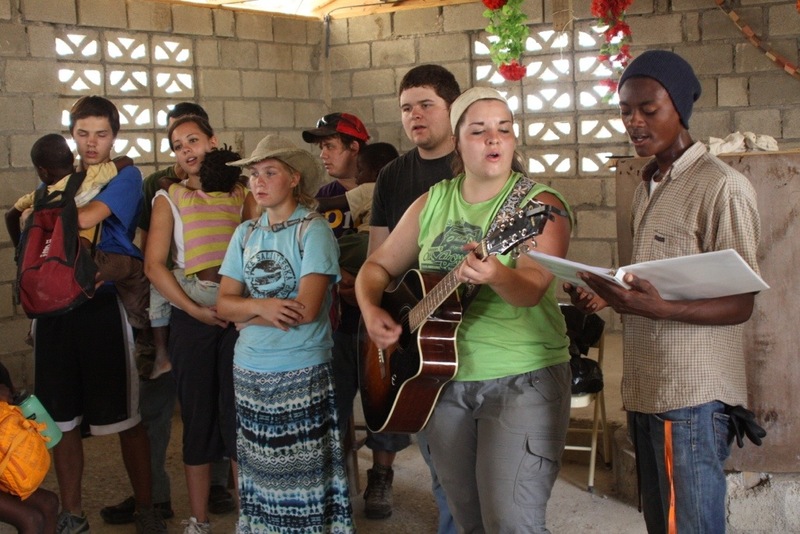 Last November, volunteers from Illinois helped build this church. Pastor Estaphat, who leads Gosen Church, led us in a few songs before we walked to our construction sites. 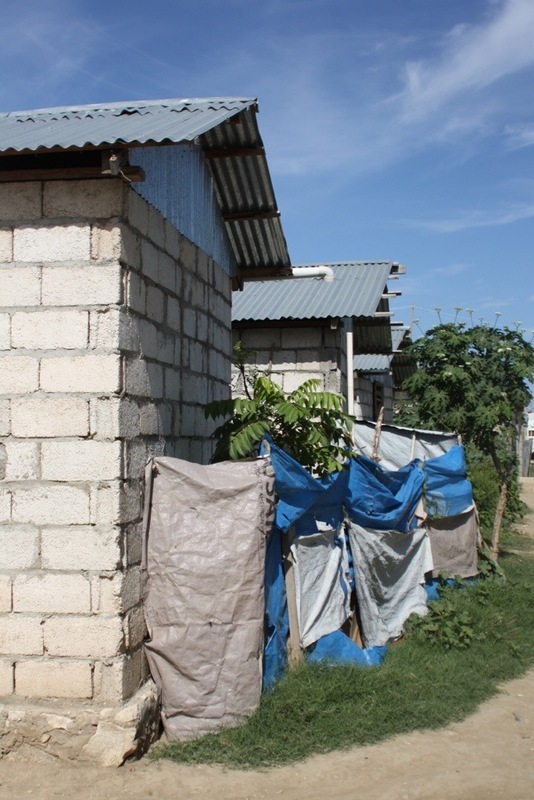 Many of the houses in Bigarade were built by Baptist Global Response after the January 2010 earthquake. Late last year, Hurricane Sandy caused this river to flood, damaging homes in Bigarade and sweeping away some of the land built up around the river. To make mortar, we sifted soil to get rid of the largest rocks and mixed the remaining material with concrete and water. 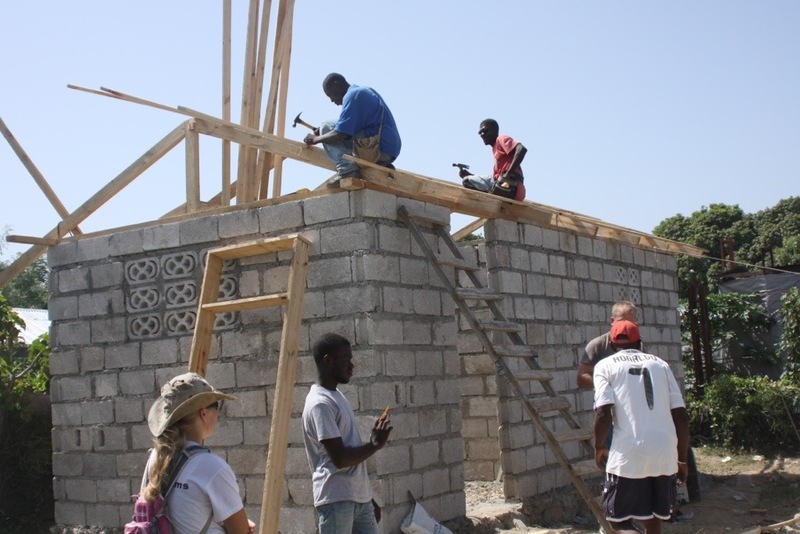 Our Haitian bosses and their helpers ran the construction sites during the week. 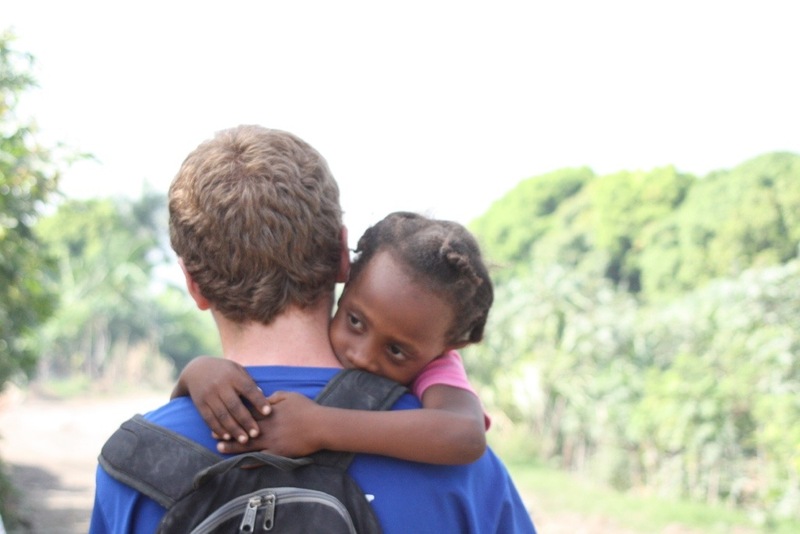 Thomas Ogens, who helped coordinate the building projects and deliver supplies, with Pastor Estephat’s daughter. And look at pictures of themselves. 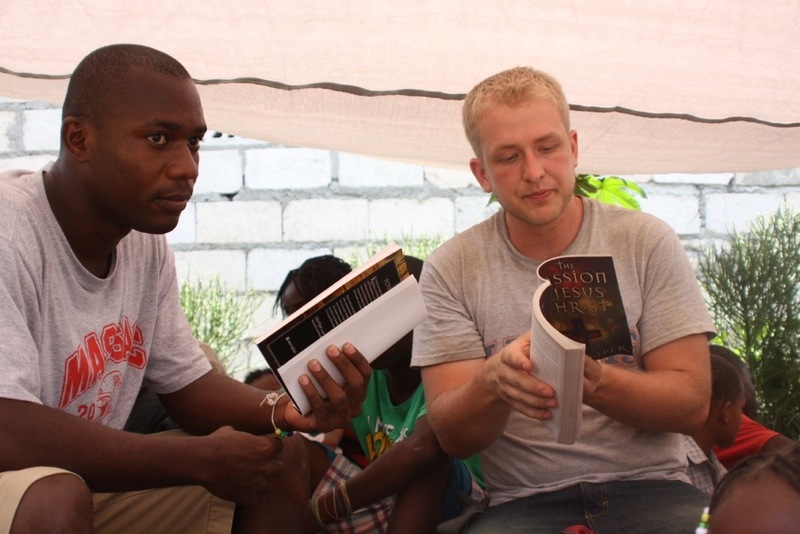 The team also had the opportunity to read the Bible and a discipleship book with our Haitian friends. 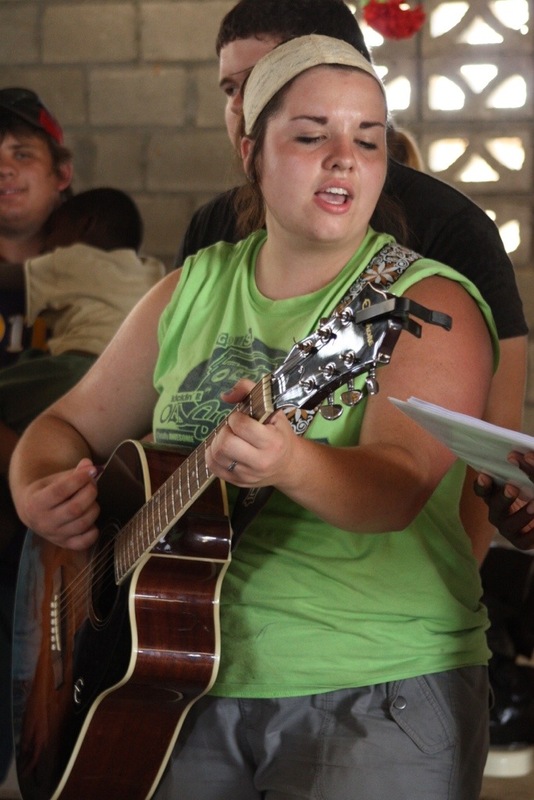 One day after lunch, Sarah Harriss led worship songs with her guitar. And the team walked through Bigarade singing praise choruses and hymns. 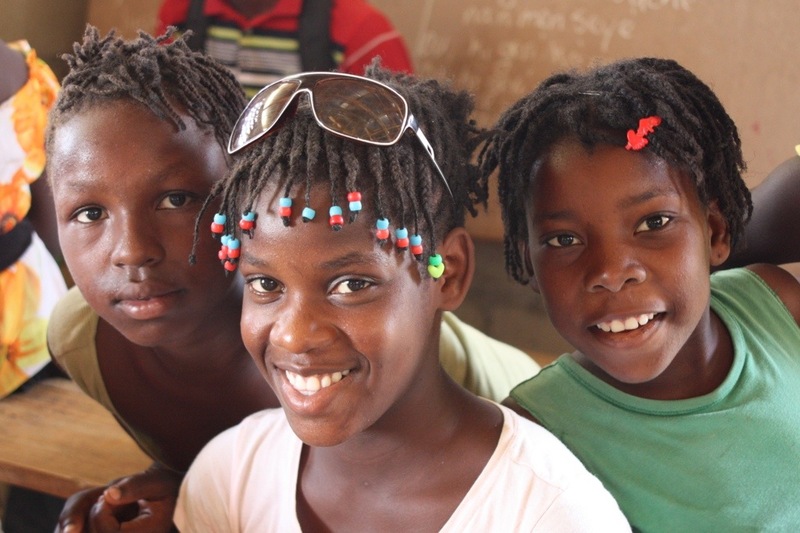 Some of the great faces we met in Haiti. Preparing to put a roof on one of the new houses. One of the homeowners standing in his new doorway. Bob Elmore leads “Our God is so big, so strong and so mighty” during worship and prayer time on our last morning at the job sites. Each morning, we had one prayer in English and one in Creole. 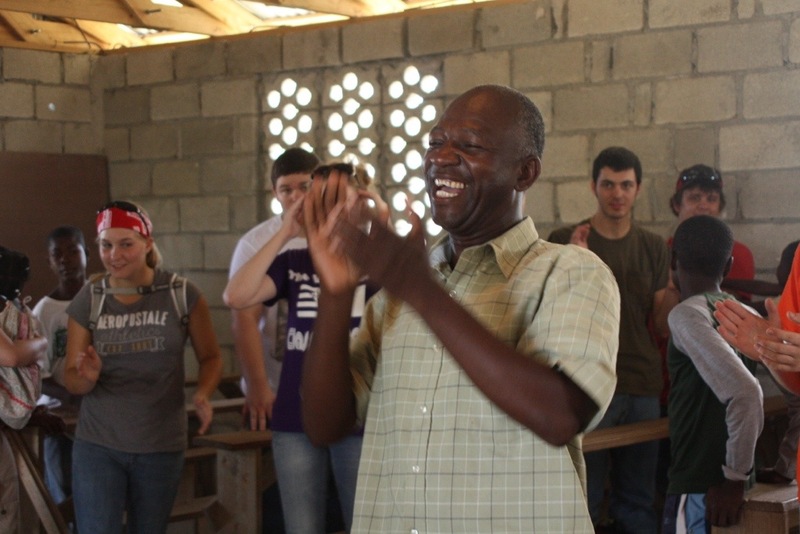 On our last full day in Haiti, we visited Pastor Evens and his church in the rural mountain community of Blanquette. 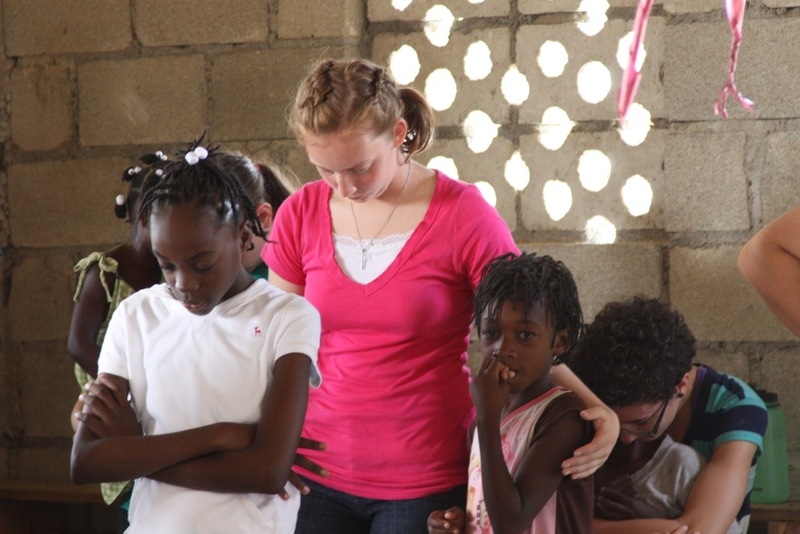 Autumn Wetzler, Waterloo, first trip to Haiti: It’s hard to pick one. Probably whenever I was out evangelizing and asked an elderly man about what God was doing in his life. He said he accepted Christ in 1981 and that his children were healthy and he was healthy. It was just neat to see how faithful he was throughout his life and how God was faithful to him. Or when we went to the orphanage and were rocking all the kids and they all feel asleep in our arms. Courtney Fallon, Columbia, first trip to Haiti: I found it just really beautiful how everyone lives their lives every day, and how they support each other and love each other. It amazed me how happy the children were, because in our American minds, we think you have to have stuff to be happy. But it’s not true. Sometimes I think they’re happier here than we are. It was also awesome to see the team interact with everyone the kids, even though we’re different from one another. 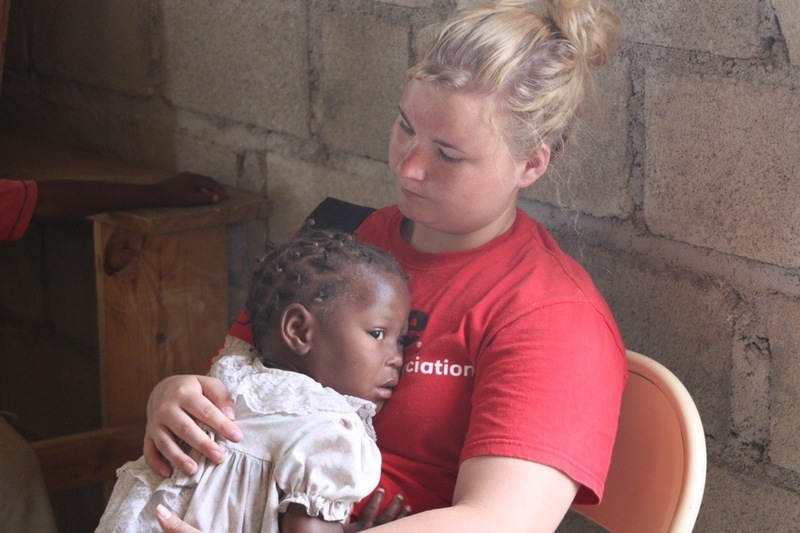 Harli Tracy, Robinson, third trip to Haiti: I think on this trip, I’ve gotten closer to the people on my team and the people in Bigarade (where we worked) than I have before, and I’ve built more relationships this time. All the trips were really special in their own way- every time I’ve thought this one was the best. I don’t know, I think they’re all equal. 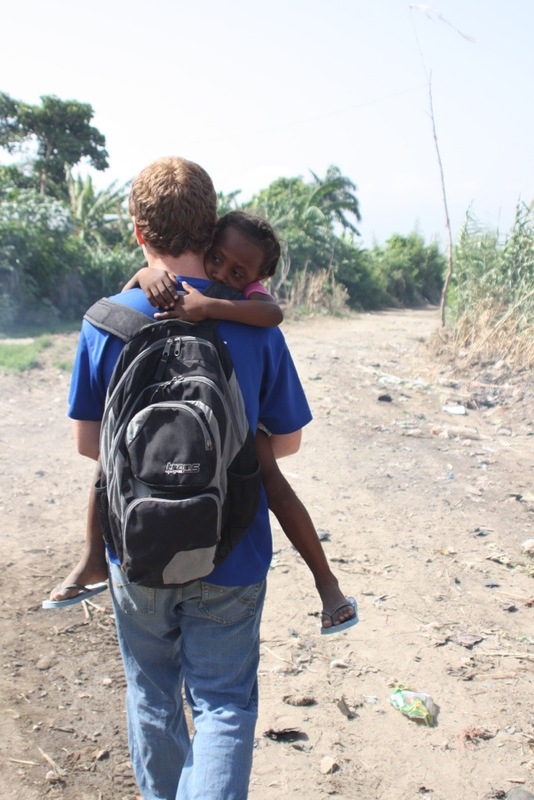 Tad Arndt, Columbia, first trip to Haiti: The most memorable thing was probably the fan club of kids that followed me around. Even though language was a little barrier for us for a little while, we still connected. And it was really neat to see that you don’t need language to connect with people- God can connect us. 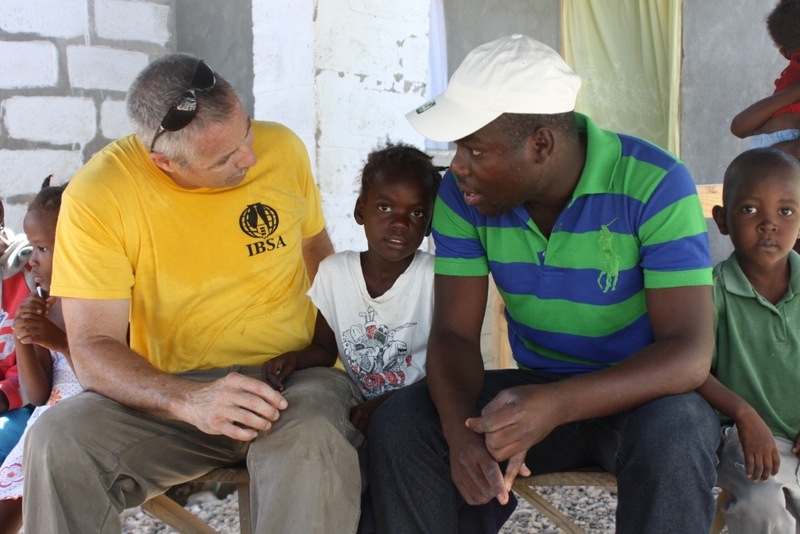 Bob Elmore (left), Springfield, has led multiple trips to Haiti: Watching Americans and Haitians share the Gospel. 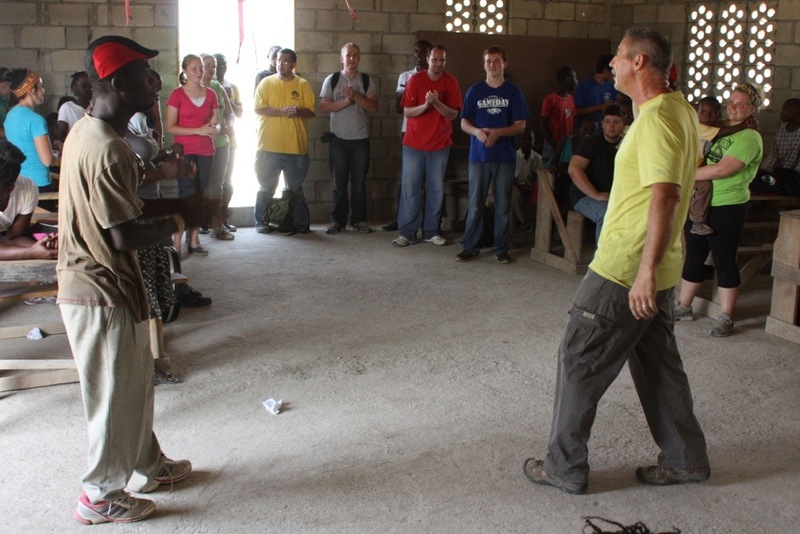 Not us presenting the Gospel and the Haitians translating, but together sharing Christ. 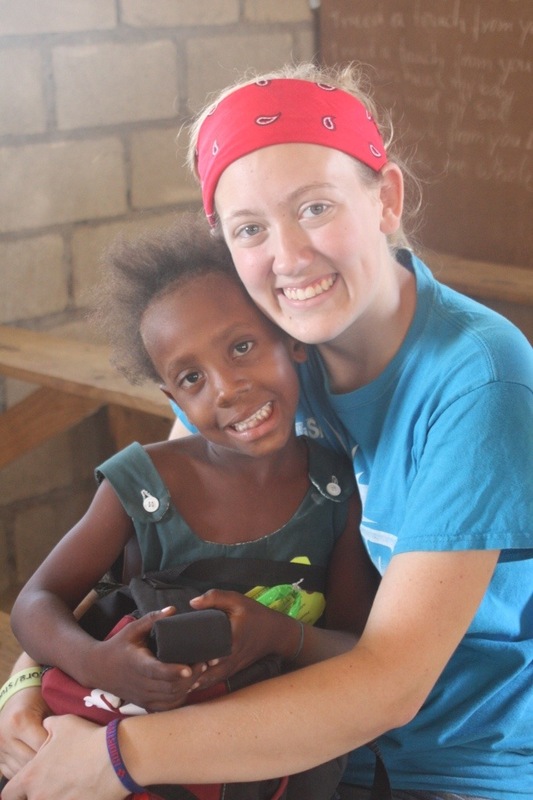 Emily Ebert, Carlinville, second trip to Haiti: I found myself overwhelmed by the amount of love and trust I was given on this trip by the people of Haiti. 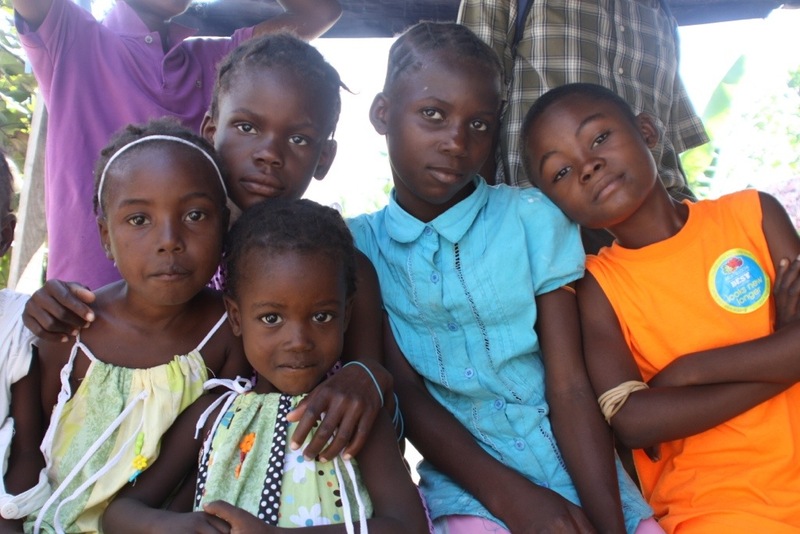 Within the first three minutes of meeting a child, I have completely exhausted my conversational Creole, yet the children stay around all day, just to be with me. At the end of the day when I get on the tap-tap, I know that tomorrow their smiling faces will greet me, ready to spend another day playing clapping games. And that is when it hits me: I love these people. I love every hot and smelly, wonderful and beautiful part of this country, this culture and these people. 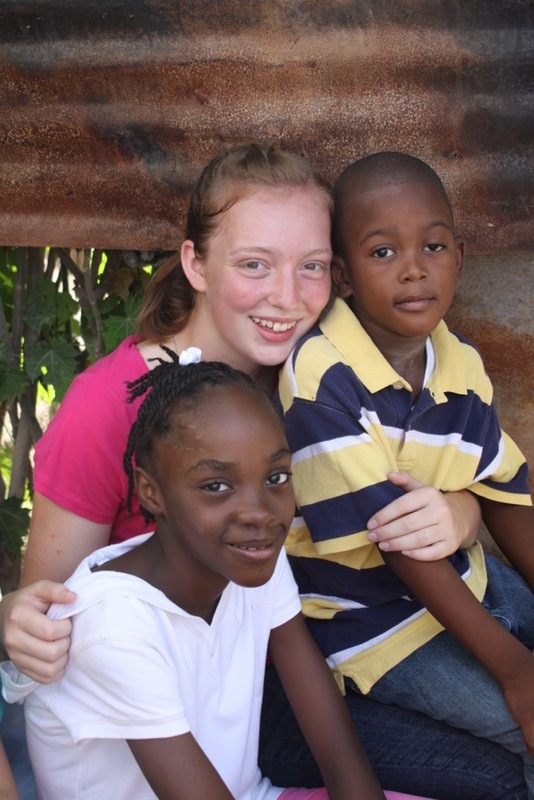 And even on Sunday when I leave Haiti, I know I will see them again, because eternity starts now. 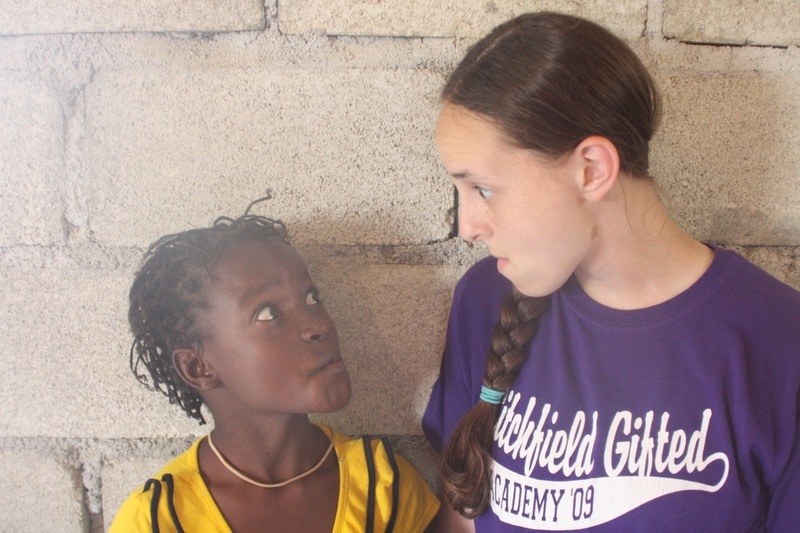 Lynzie Emerson (left), Springfield, second trip to Haiti: This year I just felt like the team got along like one big group. I think I built more relationships with the kids this year. I love the fact that they’re so content with just the littlest things we give them, like dolls. And even though they’ve gone through a lot of hard times, thy just smile at us, and just appreciate any type of love that we show them. They don’t know us, but they just come to us and cling to us like they’ve know us their whole lives. 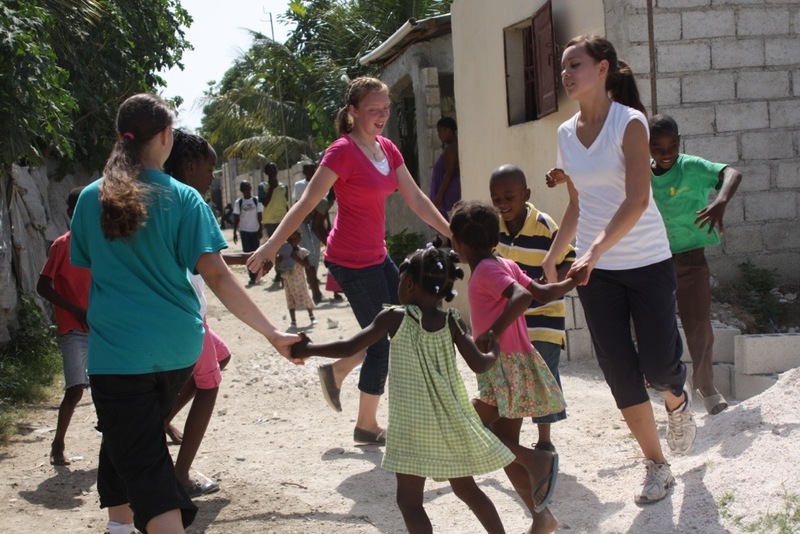 Lindsay Wasson (right), Harrisburg, second trip to Haiti: It’s waking up every morning with the feeling that I’m doing exactly what I was created to do. 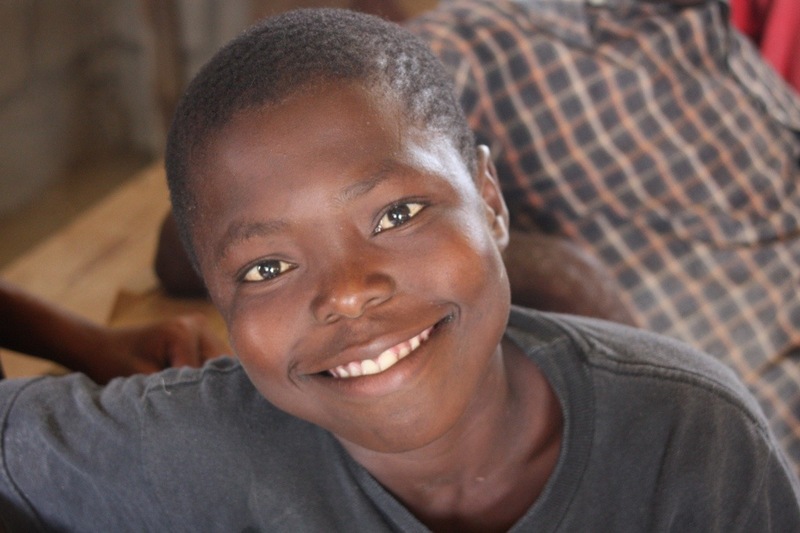 It’s the look in a lost soul’s eyes when you tell them of the hope found in Christ. It’s when a handicapped orphan says, “I love you too Lindsay.” It’s the love shared between believers in Christ that goes beyond all words. But best of all, it’s tearfully saying, “I’ll see you soon,” upon departure. Chris Flynn (right), Springfield, first trip to Haiti: Our first ride through Port-au-Prince may have been what I expected, but it was still astonishing to see. Desperately poor quality of roads, trash and traffic control, infrastructure in general. Yet the people I met this week remained kind and patient, willing to both learn and teach. 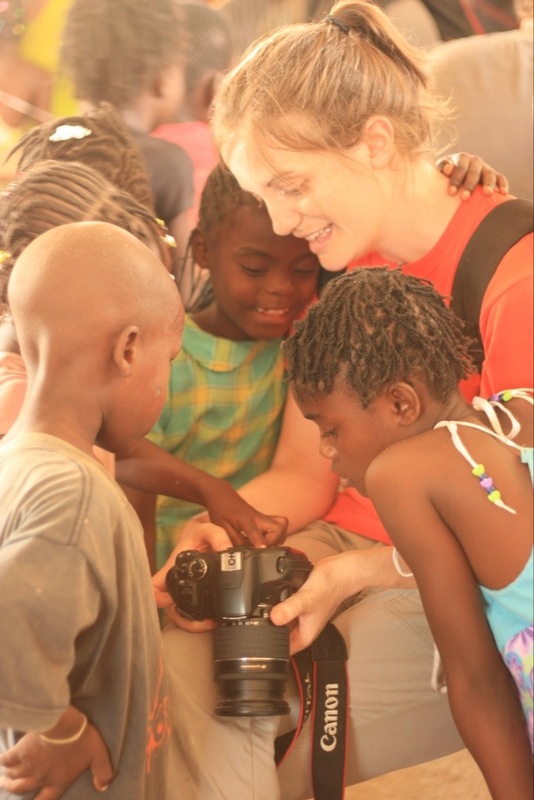 For me, Haiti exposed the gifts I keep for myself and still take for granted. And the relationships developed this week, and the truths shared, proved once again that real joy comes not from the gifts, but the Giver. 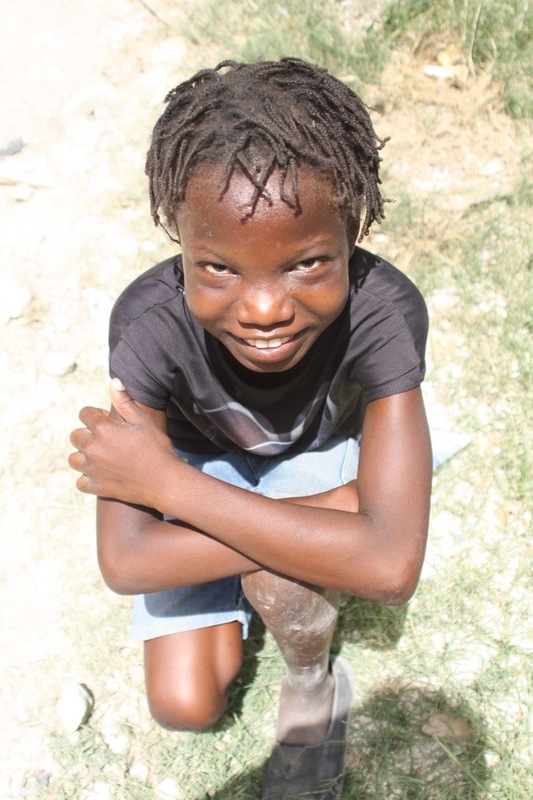 Cara Atienza, Robinson, first trip to Haiti: What I’ll remember the most is the amount of trust that they put in us even thought they don’t know us. Having children fall asleep on your lap that have never met you and that you’ve never talked to, means a lot. It’s an irreplaceable experience. Sara Harris’s, Columbia, second trip to Haiti: Getting close to them is harder because it hurts to leave, but it’s more fruitful, because you know you’ll come back to friends you’ve made here. My dad had been here in November and shown some of the kids a picture of me. One of the little girls ran up to me this time and said Sarah, Sarah! I couldn’t believe she remembered my name. 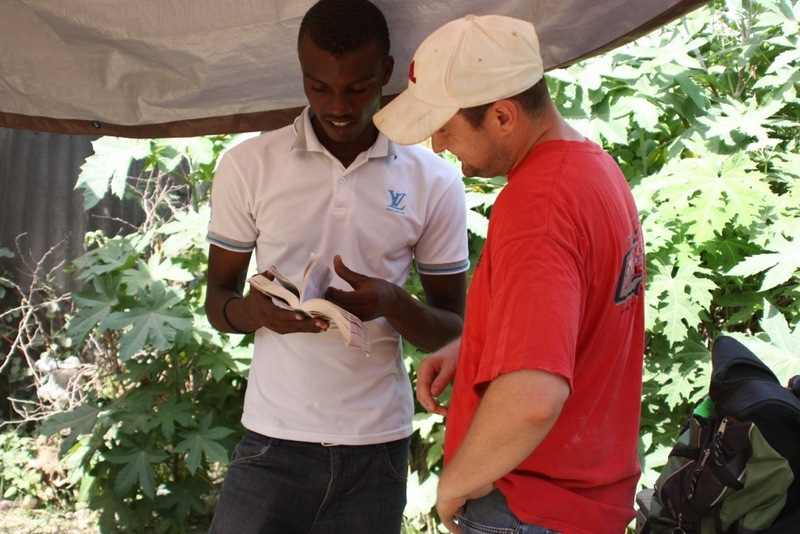 Brian Harriss (second from right), Columbia, third trip to Haiti: Reading the Bible with guys at the work site. We started with a Christian book in Creole, and I had an English copy of the same book. There was Scripture in it, which gave me an opportunity to get out my Bble. Not only was I learning Creole, but they were learning English. It never hit me before: what a way to learn a new language…reading God’s Word. 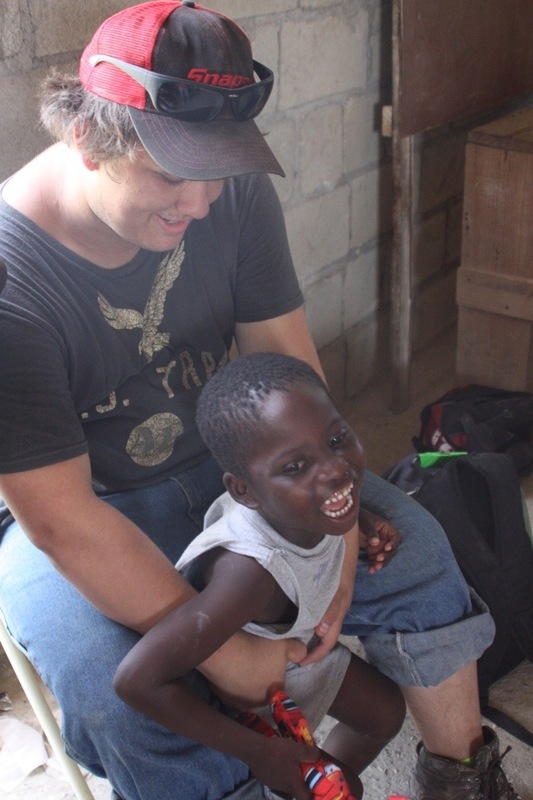 Jacob Mays, Herrick, first trip to Haiti: Awesome. It was an amazing experience to see things that not many people get to see, and witness to people and share the Gospel. It was just a really great opportunity, and I had a lot of great moments. I’m going to miss the team. Alex Hancock, Bethalto, first trip to Haiti: The most memorable thing for me is how humbled I was by this trip, and how different things around here are compared to America. It really makes a difference in how you think about the things you have at home. 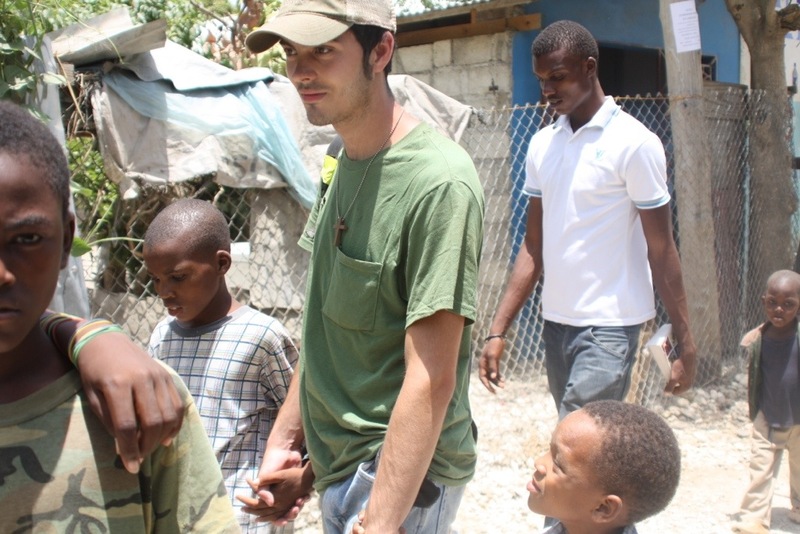 Levi Doty, Benton, first trip to Haiti: My favorite part of Haiti would have to be that even though these people have next to nothing, they seem to be happy. Even though they don’t have a clue who some of us are, they are willing to let us come to their home and talk to us. One day, some of the group went around and sang, but Brian and I went with an interpreter under our tarp on the work site, and they started to read Scripture in English and then Creole. By the time they were done, there had to be at least 20 Haitians and Americans under the tent. It was awesome. 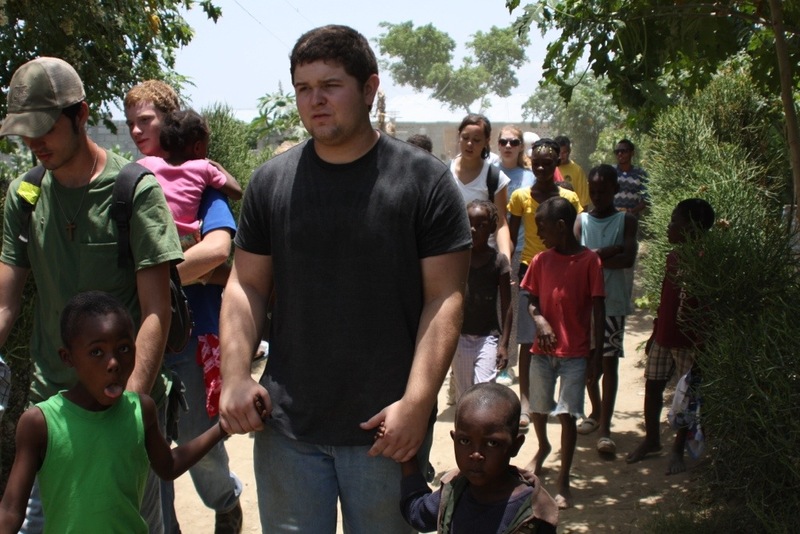 Matt Kountz (right), Belleville, first trip to Haiti: The regenerating and transforming power of the Gospel in the lives of the Haitians and Americans was what I have been blessed to see every day. I was able to see God work in faithful men to preach the Word in the face of death threats from voodoo practitioners and priests. I was able to see the light of Jesus cut through darkness and the Word of God transform hearts. There is nothing more beautiful then seeing the work of God’s grace on man and I was blessed to be able to witness God working mightily in Haiti. 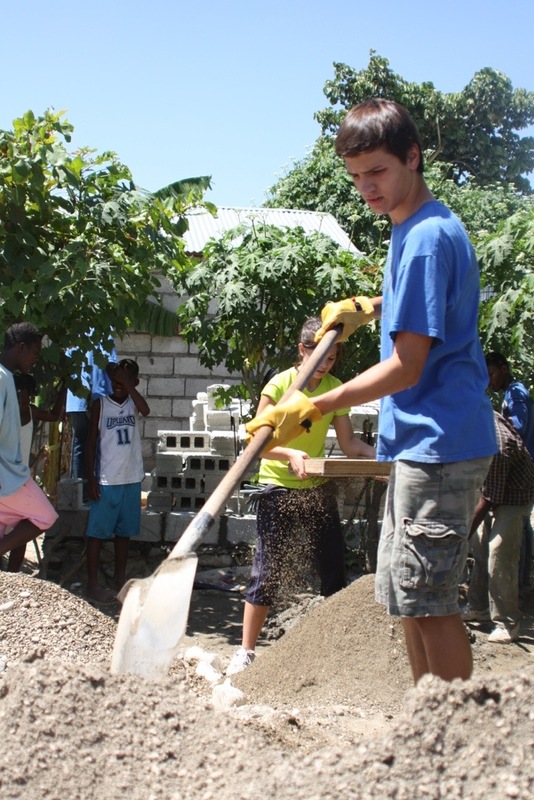 Riley Tullis, Columbia, first trip to Haiti: Probably my most memorable moment was when we went to one of the houses in Bigarade. I went through the Gospel with three kids about my age. They seemed like church kids. I shared my testimony with them, which was about me coming to Christ as a church kid. It really touched them, and I could see God working. It was like staring the Holy Spirit in the face. We prayed with them and they accepted Christ; I really hope they find a church and grow in Christ. 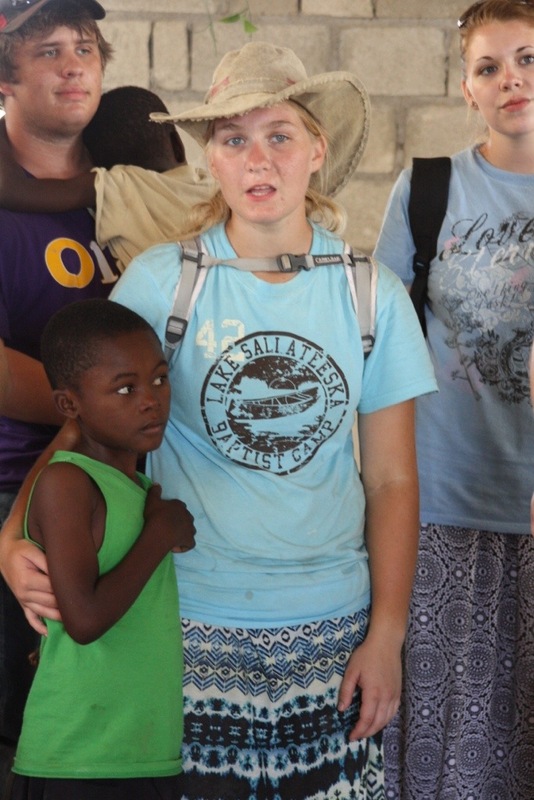 Abby Fleischer, Carlinville, third trip to Haiti: A common misconception about mission trips is that they are solely about meeting physical needs; however, truthfully and biblically, there is much more to it. In Romans 12:12-13, we get a glimpse of biblical love, something which is clearly demonstrated on a daily basis here. The Haitians and the Americans learn more from each other daily how to love genuinely and sacrificially. We also experience 1 Corinthians 4:20, which states that the Kingdom of God is not of talk, but of power. Language barriers can prove to be a benefit when they show both parties that God often shows His love through other forms that we often fail to recognize. 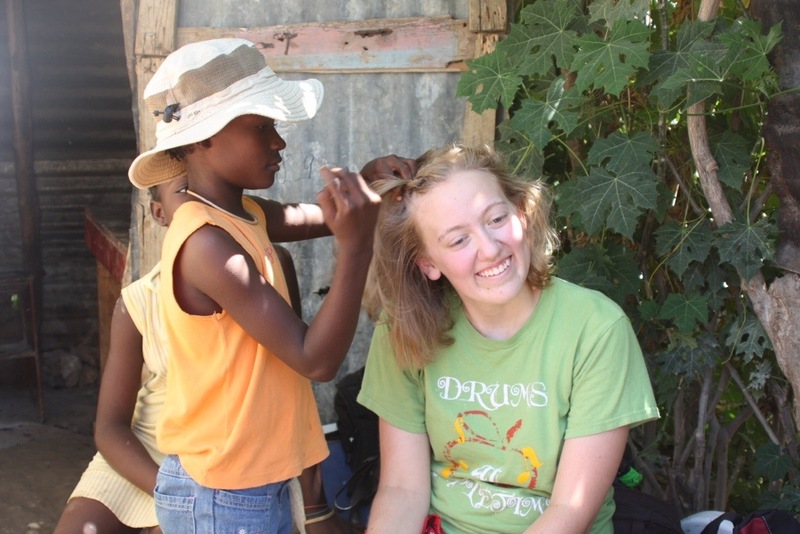 Meredith Flynn, Springfield, first trip to Haiti: Leading up to our week in Haiti, I was completely focused on how uncomfortable I might be. And even on our first day here, a week seemed like a long time to be this hot, this dusty, this out of my element. But at some point during the week, it became less important for me to feel comfortable. And I know without a doubt I didn’t muster that on my own. It could only be the Lord who helped me get over my American ideals of cleanliness and comfort, and to be patient when a thousand little hands are grasping at my camera for the rare opportunity to see their reflections. Can’t wait to be here again soon. This week has been all about transformation. Not just change, but a dramatic, from-scratch process that turns a small plot of dirt into a new house, a child’s stare into a beaming smile, and a group of short-term volunteers into Americans who understand a little more about a new country, culture, and people. 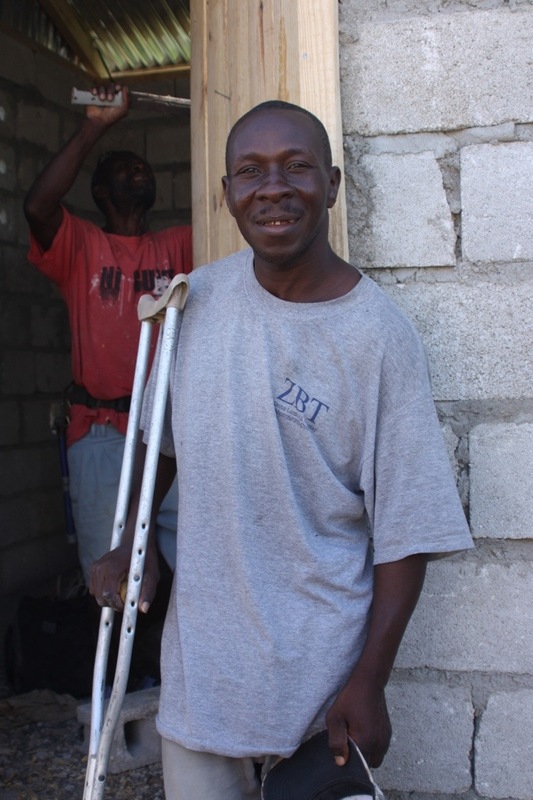 This man is standing in the doorway of his new house, one built this week through a partnership between Haitian workers and our group of (largely inexperienced) volunteers. 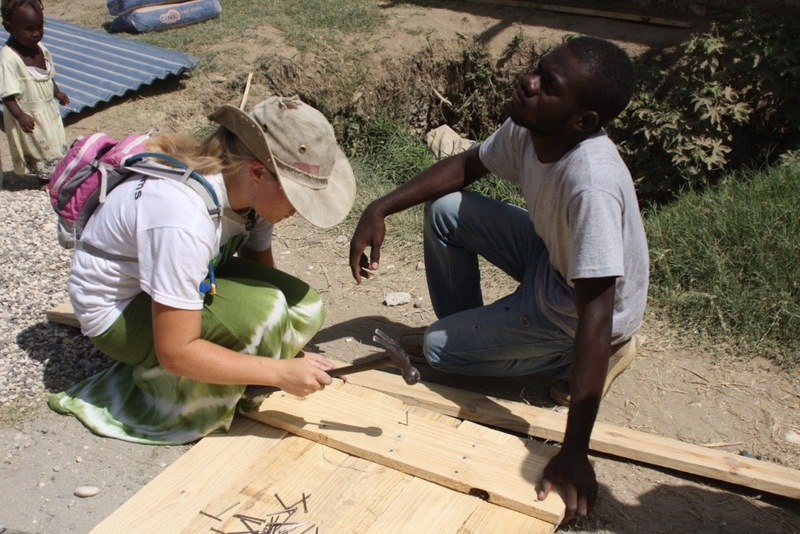 We mostly handed them tools and cinder blocks and sheets of tin for the roofs, and they led the building projects out of their knowledge of how things work best here. Tomorrow, we’ll travel to Blanquette up in the mountains. Illinois churches have partnered with Pastor Evens there; as recently as last week, a Go team of students was there for Vacation Bible School. We’ll report more tomorrow on our visit, and the team’s final impressions of Haiti. In Port-au-Prince, this is how we start each morning before heading to our work sites. Enjoy the video, and then check out a few photos from today. 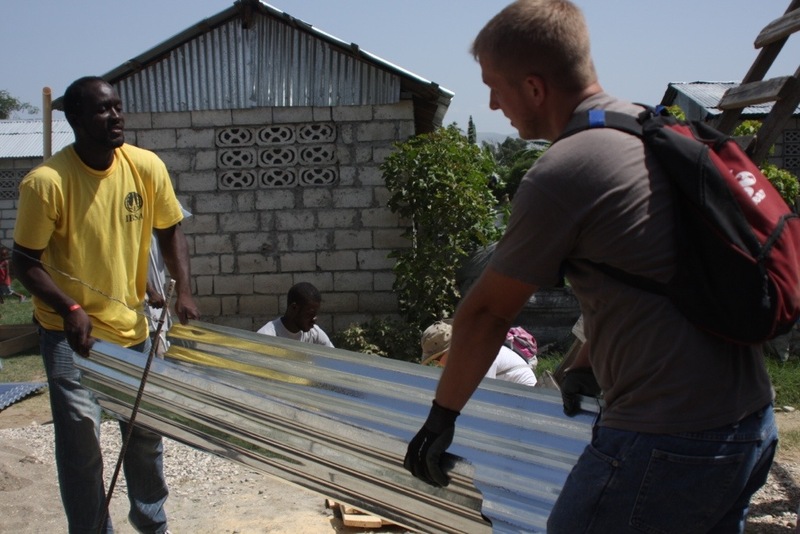 Coming tomorrow: a wrap-up from our last ministry day in Haiti. Philippe Armand remembers well the day of the earthquake. Philippe, a former school teacher, is working this week as a translator for a team of Illinois volunteers serving in Haiti. He has done so several times since the January 2010 quake, which killed more than 200,000 in his country. Philippe was in a meeting when the ground began to shake in the late afternoon January 12. The group thought it was a plane crash, since the meeting was near the Port-au-Prince airport. But when they went outside and saw the great cloud of dust covering their city, “We just thought it was the end of the world,” he says. He remembers seeing one large house in ruins and thinking about what might have become of his own small home. When he finally got there, everyone was safe and the house was still standing. But fear had set in. Philippe says people lived outside for a long time, because they thought at any time, the shaking could start again. Baptist Global Response (BGR), a ministry partner of the Southern Baptist International Mission Board, arrived on the scene soon after the quake, first to deliver food and later to help rebuild homes and churches. Including Phillipe’s church, Damien Baptist. And because school was out indefinitely, Philippe found a job as a guard at the BGR compound. That’s how he met Bob Elmore, the leader of this week’s team and several others over the past couple years. 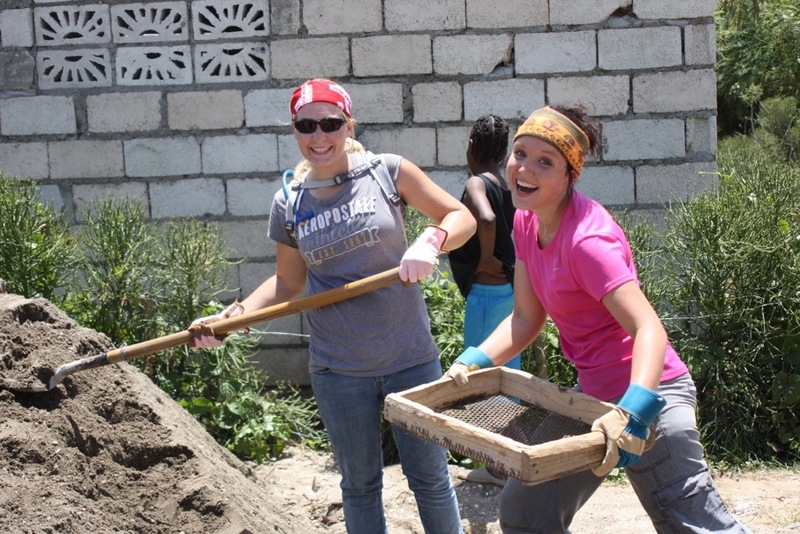 BGR built several hundred homes, and other mission teams left their mark on Haiti too. But the change isn’t just physical. “After the earthquake a lot of people accepted Jesus,” Philippe says. 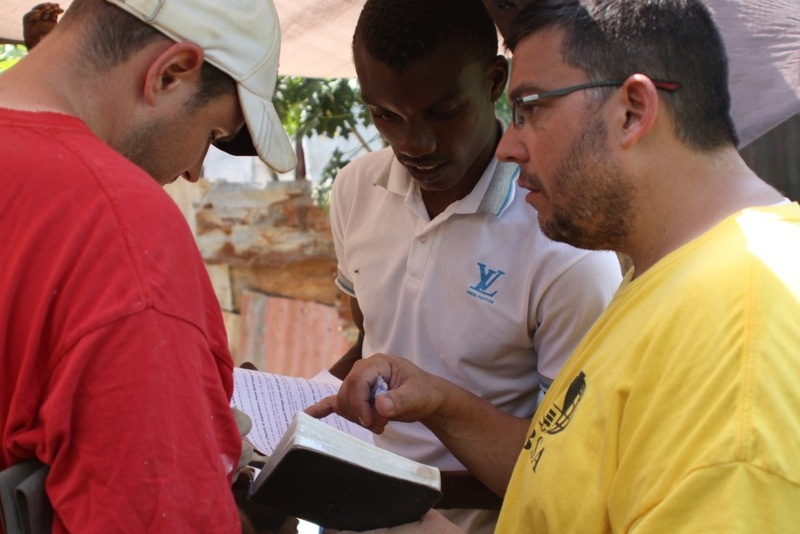 Philippe Armand (far left) studies a Christian book translated into Haitian Creole in a group led by Brian Harriss (third from left), a volunteer from First Baptist, Columbia, Ill. When Bob Elmore described what our team would be doing this week in Haiti, he was careful to remind us we wouldn’t be building houses. Rather, Bob said, we’re here to help local workers build houses. And to remember that the “bosses” and their helpers know a lot more about what works in Haiti than we do. It has to be a bit of a burden, taking on 19 American volunteers, many who have little to no construction experience. But the Haitians we worked with today greeted us with smiles every time we saw them, patiently reminded us how to say “what is your name” in Creole (more than a few times), and took us under their wing on two hot, dusty construction sites that will hold new cinder block homes in just a few days. They’re sacrificing to partner with us. 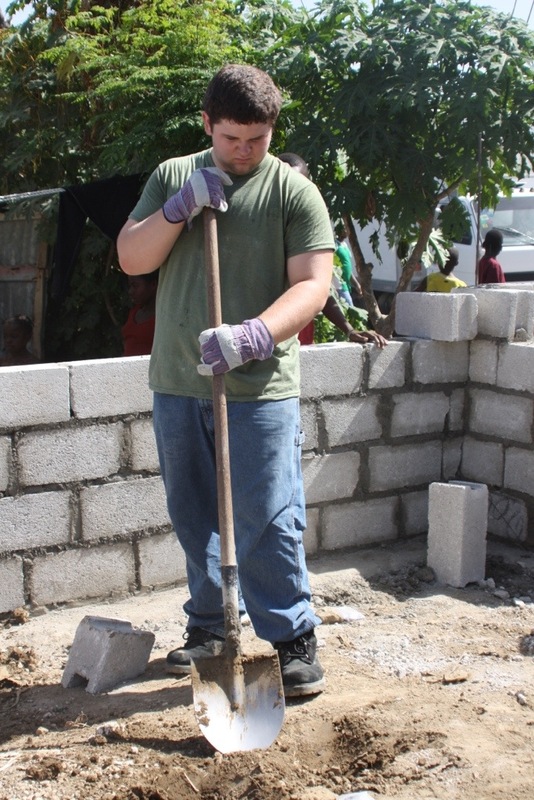 They’re also teaching us the basics of Haitian construction, from sifting dirt to be used as mortar, to creating an assembly line to get cinder blocks where they need to go. And in return, hopefully we’re loving them well, even knowing many of us may not come back to Haiti, at least for a while. Our sacrifice is forgetting the heat long enough to loop both arms around kids when they want to walk down the street with you. (Five wide: you in the middle, one kid under each arm, and two more holding your hands). Our sacrifice is having the courage to love them well, as one group member said during tonight’s devotion time. “It’s easy not to fall in love,” Emily Ebert said, not because the people aren’t lovable, but because it would be easier to hang back, build what we need to build, and leave on Sunday. It’s harder to start an awkward conversation in a foreign language, knowing we’re going to look like we don’t know what we’re doing. 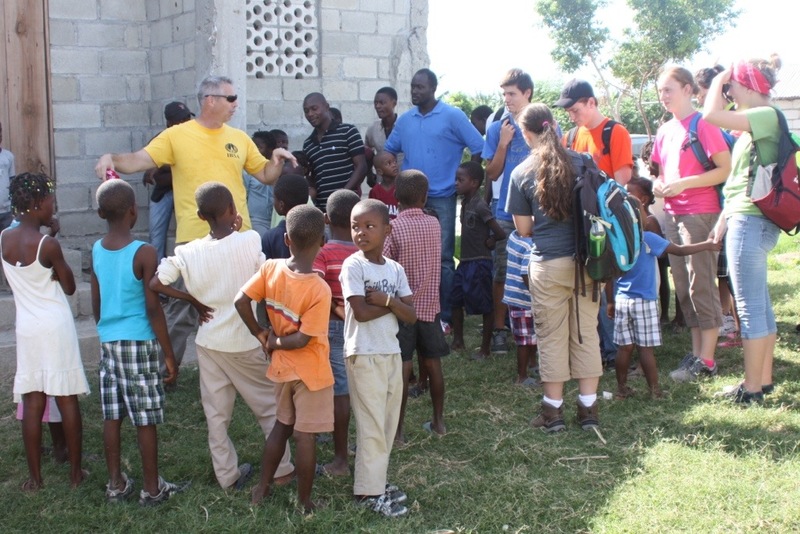 Bob Elmore (in yellow) gives instructions at the beginning of the team’s first work day in Haiti. Pastor Estaphat of Gosen Church leads the volunteers in singing before they start their work. His church building was built in November by volunteers led by Bob Elmore. The volunteers are magnets for friendly kids. Courtney Fallon gets the beauty shop treatment on the work site. 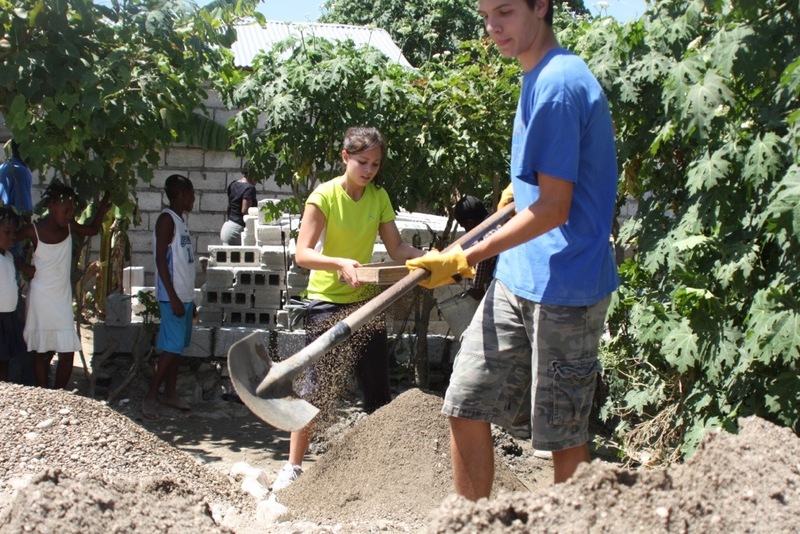 Tad Arndt and Cara Atienza shovel and sift to make mortar for the homes under construction.